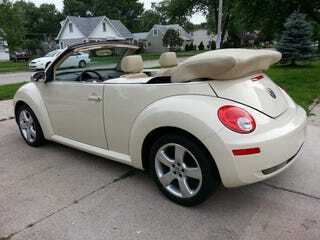 There is a Beetle convertible in this very same shade of light cream near me for about $3500. Didn’t get to look inside to see if it’s a stick. Please tell me a good reason to either A. avoid this thing at all cost B. buy it with the nonexistant dollars I have and suffer in the -4C weather in winter because stupid decisions.